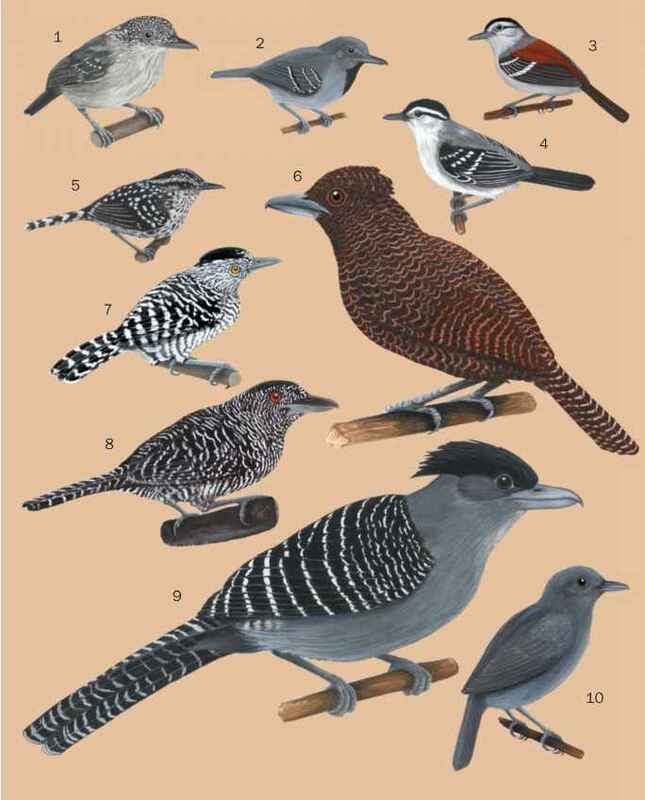 English: Bahia antwren, creamy-bellied antwren, pileated antwren; French: Grisin mitré; German: Schwarzkopf-Ameisenfänger; Spanish: Tiluchí de Cabeza Negra. 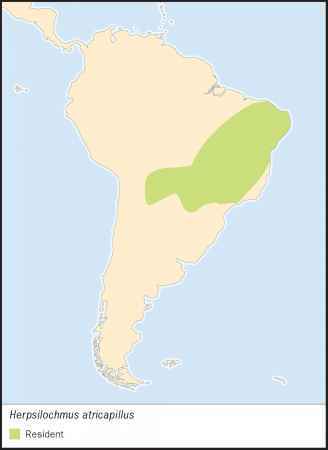 East-central South America in Brazil, eastern Bolivia, Paraguay, and northwestern Argentina. Up to 3,600 ft (1,100 m) in humid tropical forest and woodlands. Nonmigratory pairs defend a breeding territory. Both sexes sing an accelerating trilled song; males often echoed by females. Tail rapidly vibrates while singing. Gleans insects and other arthropods from dense foliage throughout the canopy.